International copyright protection is reserved under Universal Copyright Convention and bilateral copyright relations of the USA. All rights reserved, which includes the right to reproduce this book or any portions thereof in any form whatsoever except as provided by relevant copyright laws. to belie the coming heat of a summer day in the mountains of far northern California. Slowly, by threes and twos, the crew building the roads that would facilitate the moving of the vast storehouse of Douglas Fir growing here to the sawmills of the flatland were making their way back to work. It was Monday… and Monday meant they were driving in from town after an all too short weekend at home with family. Most of these men stayed in one camp or another, some down on the paved road where families often joined them on the Klamath River there while others utilized more rustic accommodations found by a convenient wide spot here or there along the stream they knew as Bluff Creek. It was but the matter of a few moments for those in this weekly migration to drop off the items brought from town to sustain them for the coming week. Some changes of clothes… food, of course and perhaps something liquid to make the nights more sustainable. This task complete, it was on to the job site, now some twenty miles in off the rough pavement of State Highway 96 on a freshly built road that climbs steeply out of the Klamath River basin in switchbacks. Past Blue Lake, Beyond the Cooper Ranch, Bee Lake all the way to their equipment and materials storage dump at Louse Camp and more… on they drove until reaching the open dirt that told them they were home… This was their pumpkin patch… the road they were building. Twenty miles is a long way to travel on two ruts in the dust! It was not the work of fifteen minutes and a cup of Starbucks to gain this job… it was more like three times that long and it took a brave (or foolish) man to attempt to drink hot coffee on this route. The chances of wearing that coffee were much higher than ever gaining a taste of it! Eventually, however, the time came to exit the pickups that brought them in and start up the heavy equipment that would be their home for the next ten hours or more. On this morning, however a surprise was awaiting this gang of experienced mountain people… a surprise of gigantic proportions. 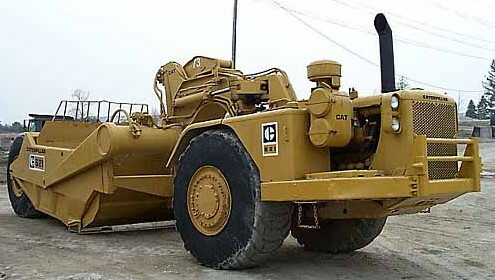 Gerald Crew was a cat skinner for Ray Wallace’s construction company who had contracted for the building of the roads into and the logging of a stand of timber owned by the U.S. Forest Service as part of the Six Rivers National Forest and purchased by Block and Company, the prime contractors on this job. On this morning, Jerry, as he was known to all who knew him, walked in the soft dirt track to start his tractor and let it warm up while he did the daily maintenance routine of greasing all the zerks and checking fluid levels on his machine. Jerry was a very experienced and well respected man and had been building roads in this country for long enough to know that the tracks he saw in the soft dirt around his machine where not normal. something that large had been here? Then he stopped to consider… no one had been here all weekend… there were no other tracks in the soft dirt of the freshly cut road bed. No one had even stayed in the camps back down the mountain and how would they have gotten here anyway without leaving at least footprints? 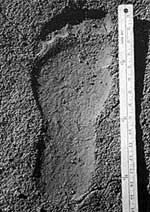 Jerry called the other members of the crew together and amid the hoots and haws of derision he was hearing from them, others made the same interpretations… these were large tracks and there were not others… no one could even imagine how someone could make a sixteen inch footprint and then walk down the road leaving a trackway with a measured stride of from forty-six to sixty inches? It just didn’t make sense to these men that this could be happening. As a forester, I was taught a method to develop a standard “pacing” step. I practiced this method until it came so second nature to me that I could measure extremely long distances to very close tolerances by pacing the distance and recording the number of steps it took to traverse the distance. My “stride,” heel of left foot to heel of right foot in this system was exactly thirty inches. My “pace,” heel of left foot to heel of left foot, or a double step, was exactly sixty inches. I have measured distances of over a mile using this discipline and been within a few feet of my goal at the end… often too close to make adjustments. I am 6’4” tall and my “stride” as the term is used here and as Dr. Sanderson used it in his writings, is thirty inches. The being who left that trackway around Jerry Crew’s cat had a stride of, nominally, over fifty inches. Oddly enough, the only crew members not surprised to see this strange trackway were the Indians who were part of the crew. 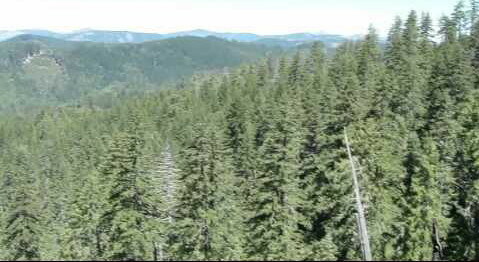 The land they were on was very near both the Hoopa and the Yurok Indian Reservations and many of those men worked on the construction and logging crews in their area. These men just looked at the tracks, smiled and returned to their duties. It was James Crew, Jerry’s nephew and fellow crew member who suggested they follow the tracks to see if they could learn more of his perambulations. It was determined that the subject who left those tracks had not entered the scene on the road, but had descended a very steep slope to the roadway. 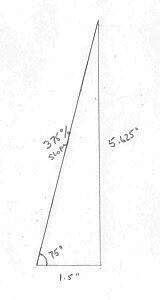 That mountain slope was determined to be at an angle of seventy-five degrees… a 375% slope… meaning that it rose three and three-quarters feet for every foot it moved horizontally. Believe me, that is steeper than a man would want to walk. The tracks left the slope and proceeded to Jerry’s cat where it circled it before proceeding back down the newly cut roadbed. It then cut across the road to the opposite side to the one it had been walking and dropped off another bank stated by Dr. Ivan Sanderson to be steeper than the slope it had descended in attaining the road initially, though how much steeper, I could not imagine. To illustrate exactly how steep this slope was, do the following. With a piece plain paper, mark a point. From that point, measure horizontally one inch and make another point. Measure vertically for three and three quarters inches and make a third point. Now, simply connect your first point with this third point and the resulting line represents the slope traversed by that creature. Now each of us should ask ourselves how we would do trying to negotiate that grade. In comparison, no Interstate Highway will have a grade exceeding eight percent. No logging road on public land will ever exceed sixteen percent. A normal stairway in a house should never exceed ninety-two percent grade. This slope was almost four times that steep. To match this slope in a step of stairs in a house, the standard steps would be nearly a full YARD above the previous one! It was stated that the only time the measured stride varied significantly was when an obstacle presented itself to the individual’s free travel. The size of the track and the stride reported, by application of the anatomical standard for primates, would indicate an individual of an nominal eight feet and eight inches in height and in excess of seven hundred fifty pounds in weight. That, as one can readily see is larger than any human living. By this time, the machines were all warmed up and ready to run, so work became the order of the day and the tracks were abandoned, though not forgotten. Talk persisted as to what they could possibly be… what could possibly have made them and discussions of other tracks naturally came up. This was not the only, nor even the first such occurrence of this type. Over the prior years, such things had been reported on a regular basis. 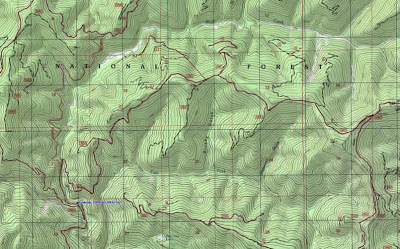 Just a few days prior, a report very similar had come from a crew building roads in the Korbel area, just a few miles south of this crew. More importantly, this was not the last such occasion. This fellow returned on a semi regular basis to inspect the work site, leaving his large tracks in the soft soil to confound and confuse the men working there. Every few days, he would return, only to disappear again and not come back for in interval. One of the staunchest skeptics among the crew began telling his wife in camp what they were finding on the mountain… at she just did not believe the stories he was telling her, but as he became more convinced and less skeptical, she became more confused… so much so that in late September Mrs. Jesse Bemis wrote a letter to Mr. Andrew Genzoli, a columnist on the Humboldt Times newspaper in Eureka, California, stating that there was talk all around the job about “Wildmen” living in the mountains of Humboldt and Del Norte Counties and was there any truth to this? Does a wild man really live in these mountains? Mr. Genzoli stated that he first regarded Mrs. Bemis’ letter as a prank but as it lay on his desk, it begin to look more and more interesting, so he finally decided to run it in his column on September 21, 1958. The response was not at all what he expected. Although he did get a percentage of reader’s responses expressing hate and vitriol for broaching the subject, the majority of the response was in support of her question and contained many stories from others who had experienced this phenomenon. 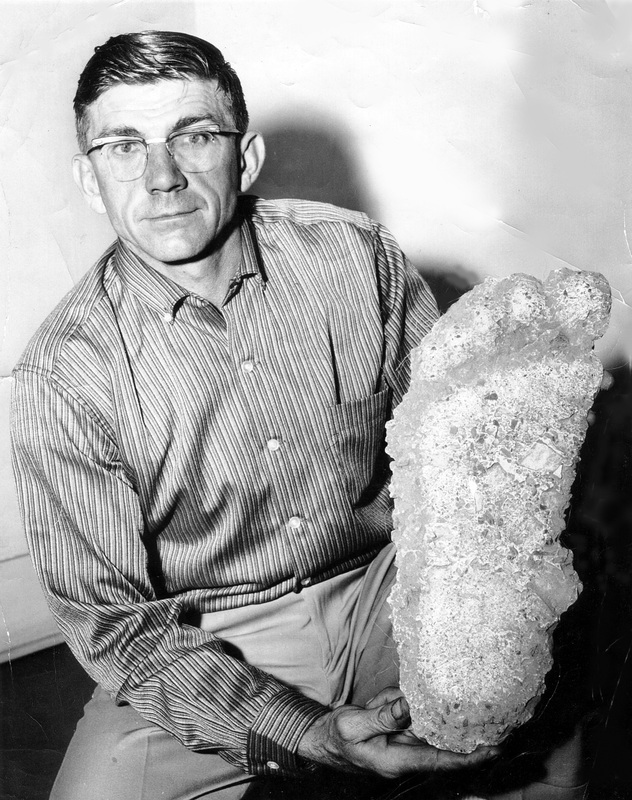 On October second and third, our big footed friend returned to the Ray Wallace job but this time, Jerry Crew was prepared and he used plaster of Paris to make plaster castings of the big guy’s tracks. The big guy returned on the fourth as well, but by this time, Mr. Crew had traveled from the job site, it being the weekend, and had taken his track casts to Eureka to show a friend. Word got to Andrew Genzoli that Jerry Crew was in town with these casts and he invited him to get together to discuss what had been happening. Mr. Crew and Mr. Genzoli met and Jerry even allowed himself to be photographed with his track casts. He did, however, refuse to smile in any of the pictures because he did not want to the portray that me might be flippant or less than serious about what he was showing here. Andrew Genzoli satisfied himself that the results of his investigation into Jerry Crew’s background was, in fact, true and that Jerry was a non-drinking active member of his church who enjoyed a well deserved reputation as a sober, reliable and truthful person. Following this interview, Andrew Genzoli published a feature article that appeared as a headline on October sixth, 1958 in the Humboldt Times newspaper. This article was picked up by the wire services and appeared in newspapers around the world. 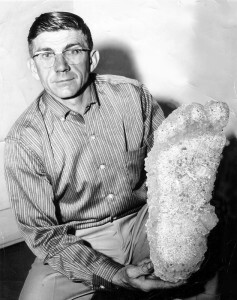 In this article, Mr. Genzoli called the creature, “Bigfoot”, the first time that name was applied to the being in print. At the time, this author was fifteen years old and living relatively close to the area in question. My family had friends who lived very near the location and a short few later my own parents were living and operating a business in Willow Creek, California, the hub city for the entire area and home for many of the crew members on the Wallace Brothers Construction Company road building crew. It was this proximity and personal interest that first ignited my interest in this subject, lighting a fire that, while fanned some by my father who had a way of inciting my curiosity, burns even more brightly today that it did all those many years ago. For fifty-seven years now, I have been pursuing this subject all across North America and have been rewarded for this diligence far beyond my wildest 1958 fantasy! At the time of the incidents related, the company’s owner had been away and out of the country. He had been in Costa Rica, Central America assessing the possibility of helping that nation access and harvest some of the very valuable hardwoods species that were indigenous and found in great numbers in the mountainous jungles so prevalent there. Ray Wallace returned to his job site during the second week in October, 1958 to find out all that had been happening in his absence. To say that his job was bedlam would have been gross understatement. It is never easy to maintain a crew when working out of a camp environment such as these men were forced to do. Crew turnover rates were high in such situations, but nowhere near what he found when he arrived. It seemed the only men who were remaining calm throughout this were those who had been hired from the Hoopa and Yurok Reservations nearby. The Indians just accepted what was and did their jobs. One of Mr. Wallace’s first actions on his return was to get with his brother, Wilbur, also part of the crew, to find out what had been happening. Wilbur spent hours bringing his brother up to date on the events that had been transpiring in his absence. He told him of the nightly visitations by their large friends… the myriad of tracks he’d left during these visits. Wilbur did his best to convince his brother that what he was relating had actually happened, but didn’t appear to be having a lot of luck in doing so. Ray knew the situation they were in… it was fall and time for construction was running out faster than he wanted. They were under contract to finish this job and it was going to be difficult to do so with his crew deserting him over some fanciful stories. Wilbur was not well pleased that his brother could not accept the facts as he understood them and as he had seen them unfold before his own eyes, so hoped to create more of an effect when he told him of the vandalism that had been perpetrated along with the tracks being left. First, Wilbur explained, they came to work to find a nearly full fifty-five gallon drum of diesel fuel used in the machinery to be missing. The tracks indicated that the being had picked up the barrel and carried it down the road, crossing to the open side before tossing it one hundred-seventy-five feet from the road in the heavy brush. He noted to his brother that that drum would weigh over four hundred pounds with as much fuel as it contained. Diesel fuel weighs, he reminded Ray, about seven and a half pounds per gallon… less than water, but still most substantial. When Ray wondered if it might have been rolled down the road grade rather than carried, Wilbur explained that there had been no tracks in the soft soil indicating it had been either dragged or rolled… and they would have certainly been evident had they been there. That barrel, he explained had been carried to the point where if could most effectively been thrown over the bank! On another occasion, Wilbur explained, they had returned in the morning to find a tire off one of their earth mover scrapers, about two hundred fifty pounds in weight, had been carried and rolled for more than a quarter of a mile back toward the equipment dump at Louse Camp before being hurled, not rolled into a very steep ravine… again, the creature had located the spot where it was most effectively released to create the maximum discomfort for those who would have to retrieve it from the canyon bottom. This fact was not well received by the senior Wallace brother and he asked Wilbur if this was all he had to share? When Wilbur told him it was not, Ray resigned himself to hear more. Although he was not sure of the truth of what he was hearing, he could imagine the deleterious effects it would have on the morale of his crew. Even as Wilbur began his next account, Ray was thinking of some way to counter the negative effects this was having on his crew. Most recently, Wilbur explained, Jerry Crew had returned to the dump at Louse Camp and found that a section of eighteen inch steel culvert pipe was missing from the stack. This twenty-four foot section of pipe would weigh approximately three hundred and sixty pounds. There were no machine tracks anywhere near that stack and it was clearly gone! It was later found at the bottom of a steep sided ravine approximately a hundred and fifty feet from the road way. To say that Ray Wallace was not totally convinced would not be an exaggeration at this point, but he left his brother with a new respect for the events of the last six weeks. It was beyond his imagination how someone could have sneaked in and did all that was attributed to these mythical beings, for, after all, that’s what they were, weren’t they? It was mark of the times in the 1940s and 1950s that on virtually all roads, any spring adjacent to the road was developed and and a trough installed to help motorists along their way should their engines overheat… a very common occurrence in cars of that era. A serendipitous side effect of this was a wonderful place to quench one’s thirst with the finest water to be had anywhere and to refill, as needed, the desert bag that depended from the front bumper, cooling the water within through the action of evaporation. Today, that function has pretty much been replaced by Convenience Stores and bottled water that’s marketed as “pure spring…” but actually comes out of a well and is, in fact the most polluted water one can purchase due to the greases falling into it from bottling machinery. In the area we are discussing here one such spring tank was was to be found not far from the supply dump at Louse Camp. 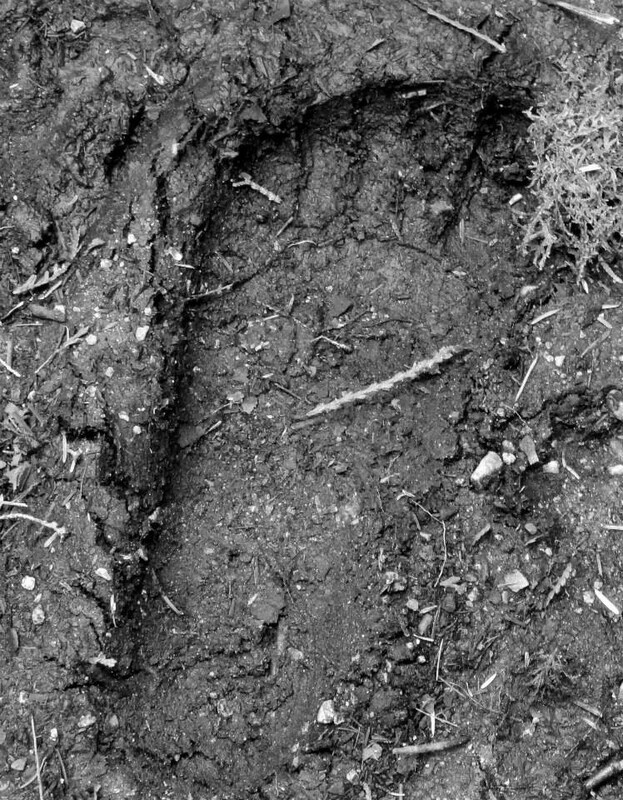 It was here that Ray Wallace stopped on that day in week two of October and found, there in the mud around the tank overflow, masses of tracks… from, as Dr. Sanderson said, Mr. Bigfoot. At this point, the road builder knew that all that had been told him regarding the events of these past weeks were true. He could no longer remain skeptical or doubtful in the light of this new evidence he knew, because of the sequence of events of this day, could not have been faked or hoaxed for him to find. Mr. Bigfoot did exist… and he did exist on his job site… and he was a major obstacle in the way of completing this project on time. About this time, another player came into the picture on this remote road site. Ray Kerr from Eureka had heard of the occurrences on this job and was most interested in tracking this creature. Since he was an experienced cat skinner, he was hired immediately with the understanding that he would work a full shift during the day and any tracking he did would be on his own time after his work for the day was complete. As this was Mr. Kerr’s intent, he readily agreed. Ray brought with him, however, something more. Along with Ray Kerr came Bob Breazeale, his wife Leslie, then age thirty five years and Bob’s four highly experienced hunting dogs. Bob came with from a hunters background. He and his dogs had hunted world-wide and his dogs were the envy of all who had seen them work. He carried a “large caliber, English made rifle” that seemed to be to the interest of all those in camp. Bob, Leslie and the four dogs were not hired on the road crew but came along simply to hunt and track. Their seeming goal was to capture or kill one of these “beasts” that were wreaking such havoc on the Wallace Brothers Construction Company’s crew roster. The date this began is not certain, but on fifteen October, 1958, Ray Kerr and Leslie Breazeale were riding in Ray’s vehicle when Ray spotted a “gigantic humanoid covered in six inch long dark brown hair” crouched by the side of the road. According to their description of events as reported in a feature article in the San Francisco Chronicle on Tuesday, October 16th, 1958, Leslie Breazeale was dozing in the seat while Ray Kerr was driving. While Leslie did not see the creature initially, Ray did and he reported that it raised from its crouched position to full height and in two steps crossed the twenty foot wide roadway and exited over the bank. The range from the vehicle to the being was approximately forty feet. This occurred within one and a half miles of the Company’s supply dump at Louse Camp. Leslie testified that the action of Ray breaking precipitously woke her from her slumbers immediately and she witnessed the creature as he left the roadway after having crossed in front of their vehicle. Measurements were taken and recorded. The roadway measured twenty feet in width and the being was approximately forty feet in front of where the car was when the brakes were initially applied. 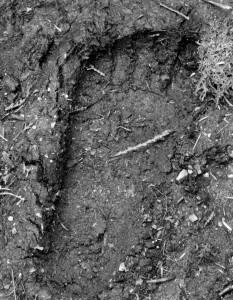 The tracks were sixteen inches in length and were very much the same as a human track would be in that same soil, only much deeper and the stride very much longer. To fast forward a bit here, on seventeen June, 2014, I was on a parallel road to this one about six air miles east northeast of this site and had identically the same thing occur to me and two passengers in my car. On this occasion, there were two sasquatch individuals in the road when I rounded a curve and much the same thing happened. The only thing markedly different was the range from my car to the subjects was about half what it was near Louse Camp that day in 1958. The entire story of this encounter will be found in appendix one at the end of this volume. Bob Breazeale was immediately notified of this occurrence and quickly put his dogs on the trail. He transported them to the scene and released all four of them together and the left the roadway in hot pursuit and were never seen again. It has been reported that the skin and bones of these dogs were found splattered on trees in the area sometime later, but that has never been confirmed. With the rapid departure of his hunter and the vaunted dogs, Ray Wallace then resorted to a bit of subterfuge on his own part. Desperate to keep his crew intact, the contractor hit upon the idea of making an over-sized foot of wood and leaving tracks of his own making in an attempt to convince workers that it was simply he and not some mysterious, mythical creature leaving large tracks all over the mountains. It was a sad footnote on an otherwise stimulating series of events in a hidden mountain hideaway. Fortunately, the faked tracks are easily recognized and no tracker of any ability at all would ever mistake them for the real things. The first thing Mr. Wallace learned about making fake tracks with a sixteen inch long and six or seven inch wide prosthesis is that, although his body weight did not change, his area on he ground did, creating the effect of wearing snowshoes. In essence, it was very difficult to leave prints in any but the softest of soils. He simply could not place enough pressure per square inch to penetrate the soil to any extent. This is a dynamic that has faced all who followed who would emulate his endeavor. Unfortunately, there are those who do not know better who continue, to this day, to ascribe to the “fact” that the Jerry Crew prints were made by the owner of the company (an owner who was out of the country at the time) to fool the people in the area. There is, however, one group that has no problem speaking out loudly and in quantity… those who disagree with the idea. These people take many forms and guises. Some are zealously religious and are afraid this information might, somehow, undermine their faith. I have had conversations with this type of person and they seem of two general types. There is first, the person who denies even the dinosaurs ever existed because, after all, the earth is only five thousand years old because that is when the Bible starts. The second is a bit more pragmatic in that he does admit that dinosaurs were once around, they were just “pre-flood” and somehow (he doesn’t explain exactly how) missed the boat. With this fellow, it’s the timeline that trips him up. Now, lest I be thought here to be anti-religious, let me state that I, myself, hold the Priesthood… but I can still think for myself on matters. I understand that there may be many things we don’t yet know and act accordingly. Which brings up the third class of nay-sayer… the “pure science” group. If it is not discovered by “science” and cataloged by them, it cannot exist. These are those who state that observation is invalid.. the eye-witness accounts are not acceptable. (I’ve always found it amazing that my eye-witness testimony can send a person to the death chamber, but it’s not acceptable to these people as to the possible existence of a life form… ) This person is often heard demanding proof from the person telling what had occurred. It should be noted that proof is a very personal thing. I cannot prove anything to anyone… I can only offer evidence. It is up to the individual to decide whether that evidence is sufficient to constitute proof in his mind. It is incumbent on those desiring proof that they do more to obtain that proof than watch the latest trendy television on the subject… if one desires proof, one must be willing to go forth and seek that proof. There is one other trait that is even more difficult for me to understand, and that is he who range from total understanding of the existence of this being to those with merely an understanding of that fact but who REFUSE to accept the premise that others may have observed some trait, facet or ability in it that they have not… and that they cannot accept for some reason. It amazes me that people can be so narrow minded as to insist that their understanding of the creature is the ONLY understanding to be heard! In reading the bibliography provided with this volume, I came across one fact early on… those who are the loudest in their denial of the existence of this being… those who are the loudest in attacking others are those with the least actual experience in the field. I never cease to be amazed by how vicious people can be to one another over something that has not harm in it… to the individual attacking, it really makes absolutely NO difference whether the creature we call bigfoot or sasquatch exists or not… for him, the sun will still rise tomorrow… his mortgage payment will still be due on the tenth of the month… his job will still be there on Monday morning, but he allows himself to be be vitriolic in his attacks on others because they have experiences other than his own.